Over the past year DSA has had many requests to provide a ranking service for ProAm competitions, however it was felt that such a system must also include our Teacher/Student events. Both these ranking services are now up and running on the P5000.org site. I am sure everyone would understand that the Teacher/Student ranking provided a technical challenge due to the fact that, in many circumstances, teachers can partner multiple students in the same event. 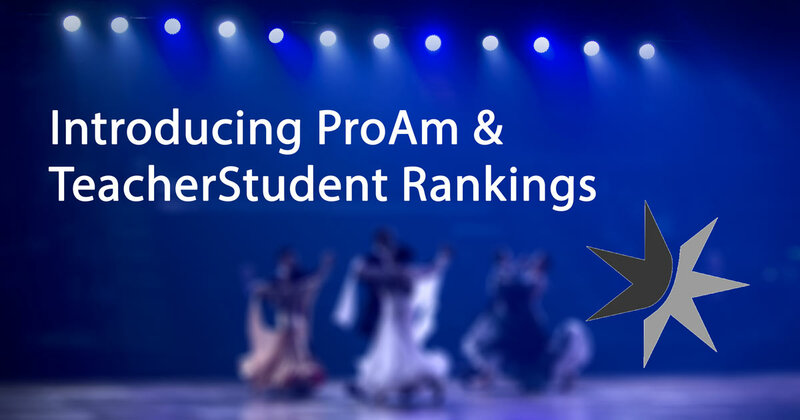 All the rankings (Amateur, Recreational, ProAm and Teacher/Student) on the P5000.org site share similarities, although the 'back end' of each varies due to the differing nature of DanceSport partnerships. In practice, 'points' are collected directly from the scrutineering software, which is why it is important to have the CID numbers correct. Once uploaded to the DSA database, the ranking algorithm selects the past 12 months’ results and calculates 'Ranking Points' based on the placing of the couple in the event and how many competitors (in total) were in that event. When the event has several rounds, as at this year's Australian Championship, the software pulls information from all the rounds and the final. This is a complex process at which computers excel, those of you who have been involved in manually creating a ranking list know just how time-consuming it can be.